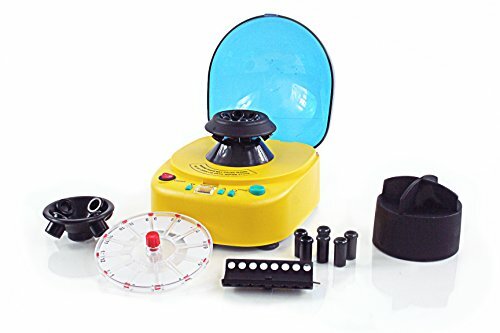 The XC-LED12K is a dual voltage, ultra-portable mini-centrifuge with a speed range of 1,000 to 12,000 RPM's and a maximum RCF of 6900 x g. It features 4 separate rotor options with a 6 x 0.2, 0.5 1.5 and 2.0 ml tube capacities in the first rotor, 16 x 0.2 ml tube capacity in the second rotor, 4 x 1.3 and 5.0 ml tube capacities in the third rotor (tubes must be 16mm x 56mm) and lastly is a 12 x 30 mm capillary tube rotor. Its sturdy, compact construction gives the XC-LED12K the ability to perform consistently and quietly under the everyday rigors of continued use. 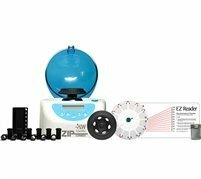 The LW Scientific ZipCombo centrifuge is the perfect solution to your micro-centrifugation needs! It provides all the performance of popular "Stat" centrifuges at a fraction of the cost. Spin down hematocrits at 12,000 rpm in only 3 minutes. 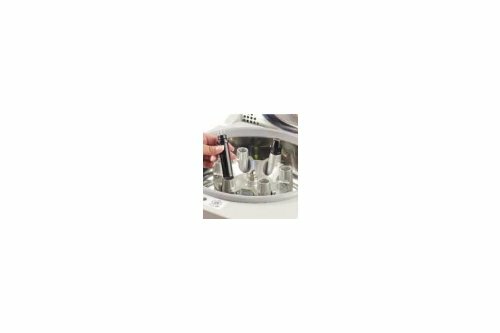 Change the rotor to spin micro tubes at 12,000 rpms for serum in 3 minutes. Accomplish both test tube and microhematocrit separations with the Combo centrifuge. Simply choose a box (with or without a digital tachometer) and choose your rotors. The Combo spins either test tubes, capillary tubes or microtubes by simply changing rotors — no tools required! Achieve hematocrit separations in less than five minutes at 12,000 rpm; then accurately determine results with the included reader disc. 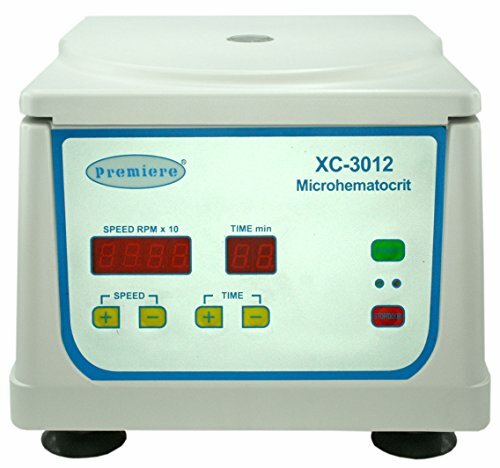 The XC-H12/A001 is a high-speed, Micro hematocrit centrifuge with a maximum speed of 12,000 RPM's. 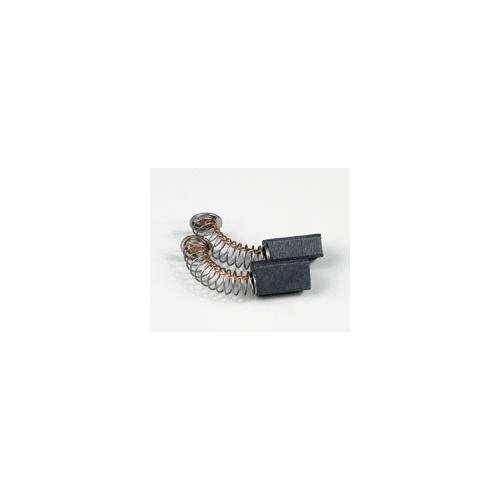 It features a 24 place, fixed, 75 mm capillary tube rotor. Its sturdy metal construction and brushless motor give the XC-H12/A001 the ability to perform consistently and quietly under the everyday rigors of continued use. 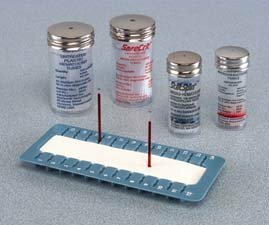 These microhematocrit tubes feature capillary action to draw samples quickly. Tubes are available with heparin for finger-stick samples or untreated for anticoagulated venous samples. The 40mm plastic tubes are made for use with the MP multipurpose centrifuge (see 87002-248 series) and the CritSpin* microhematocrit centrifuge (see 87002-206 series). The 75mm tubes are made for use in conventional centrifuges that support the full length of the tube. SafeCrit* hematocrit tubes are made of nonbreakable 100% plastic to eliminate the potential safety hazards of broken glass. The XC-3012 Bench top Microhematocrit Centrifuge is the newest addition to the Premiere line of high-efficiency, low-cost Microhematocrit centrifuges, developed for General lab use. 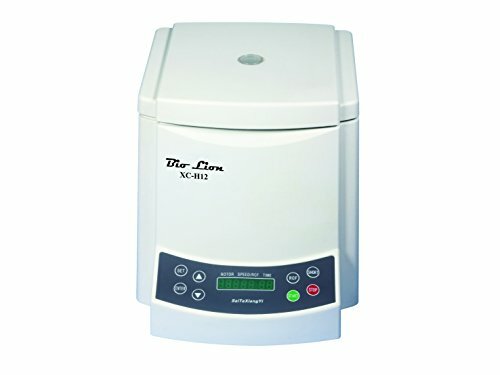 Designed with your busy lab in mind, the XC-3012 features our proprietary super-quiet, brushless motor, along with The XC-3012 bench-top microhematocrit centrifuge is the newest addition to the Premiere line of high-efficiency, low-cost microhematocrit centrifuges. Designed and developed for general lab use, the XC-3012 features our proprietary super-quiet brushless motor. It is accompanied by a fixed-angle rotor which capable of spinning 24 hematocrit capillary tubes ranging from 25 mm to 75 mm in length. The rotor spins at a top speed of 12,000 RPM, providing a maximum RCF of 14,800 g's. 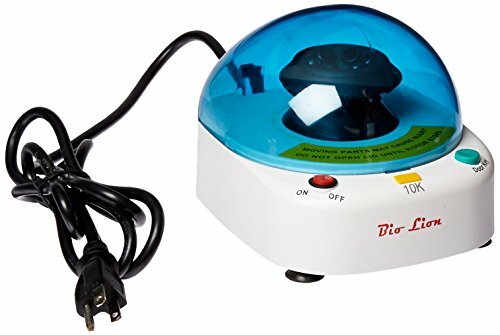 The XC-3012 provides a timer that can be set to run continuously for up to 99 minutes. It also comes with standard safety features like an automatic shut off, as well as a locking lid with an emergency release. The XC-3012 can also fit an available 12 x 1.5 ml rotor that is sold separately, which makes this one of our most versatile model yet. 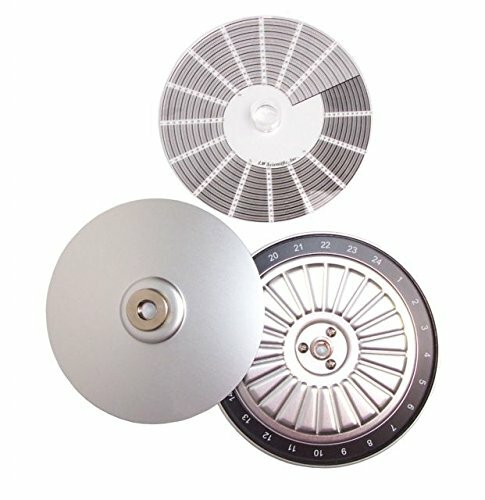 Looking for more Microhematocrit Centrifuge similar ideas? Try to explore these searches: Geometric Home Decor, Yankees Schedule Watch, and Uv Sensitive Liquid.